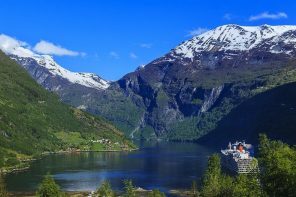 From igloos to castles and lighthouses to cranes, Scandinavia is home to some spectacular, unusual and amazing places to stay. Admittedly, they may not come cheap, but if you’re looking for that once-in-a-lifetime place to spend the night, here’s our pick of the best. The vast Norwegian coastline boasts a string of spectacular lighthouses where visitors can stay. 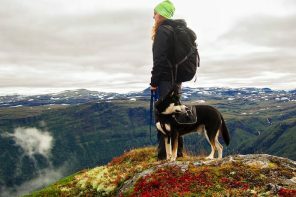 Some sit alone on an island, some are on remote, craggy stretches of coast and others along the indented fjords, but all share fantastic views and a sense of adventure. 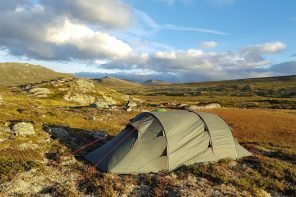 The accommodation varies from basic bunkhouse to full-on luxury hotel, and access can be a simple as a short drive or as adventurous as a wild sea-crossing. 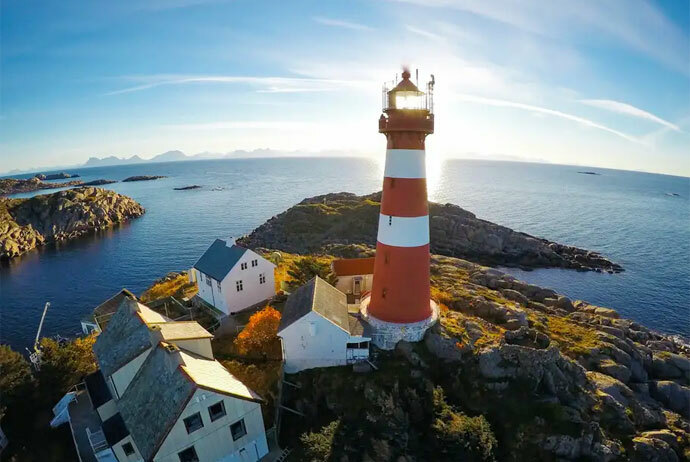 For something really special, try Skrova Lighthouse in Lofoten or head even further north to the tiny Arctic island of Torsvåg, where this 100-year-old lighthouse is available to rent. Spending the night at the Kirkenes Snowhotel is seriously cool. 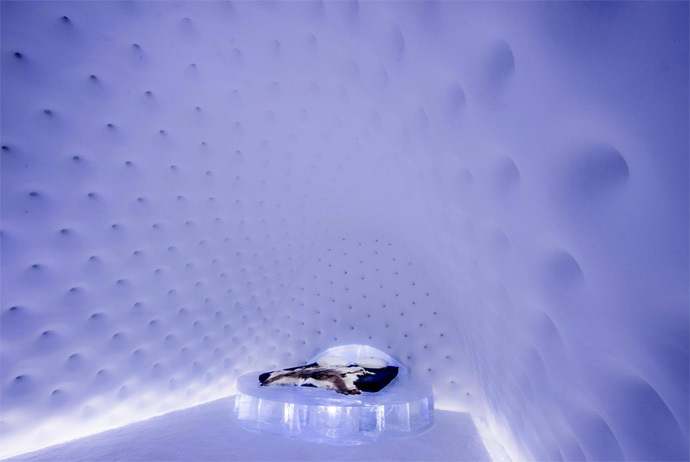 The rooms at this Arctic igloo hotel are carved out of snow and ice by well-known ice sculptors. And, as you might expect, the decor changes every year as the hotel melts completely into the waters of the fjord each spring. 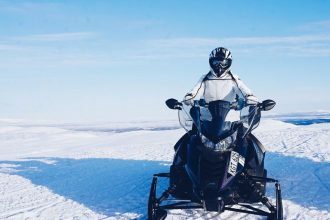 During the day, you can keep warm by going ice-fishing, snowmobiling or on a husky safari, then settle in to the ice bar for a drink and dine on local dishes, such as smoked reindeer or king crab soup. 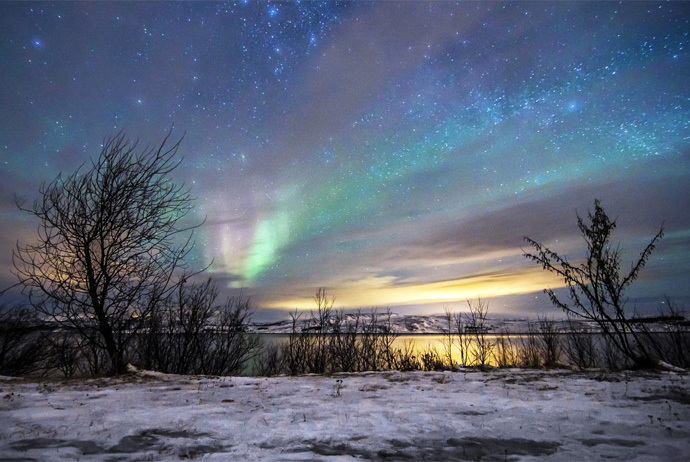 As you’re a long way north, there’s a good chance of catching the northern lights during your stay here, too. 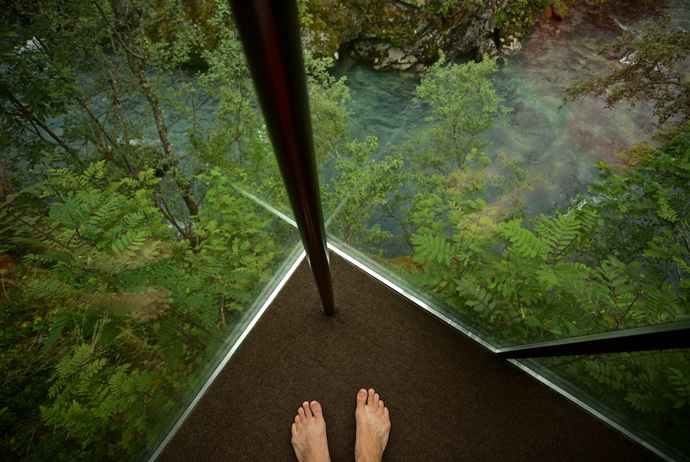 Escape to a wooden pod with glass walls that hangs suspended over a steep valley with far-reaching views of a gorge, woods, river and mountains. The Juvet Landscape Hotel’s high-spec cutting-edge architecture manages to be luxurious and comfortable while making you feel like you’re right out in the midst of the surrounding nature. Futuristic yet down-to-earth, the hotel was a fitting location for the 2014 sci-fi film Ex Machina. So chill out in the outside hot tub and admire the river below and the mountains above. 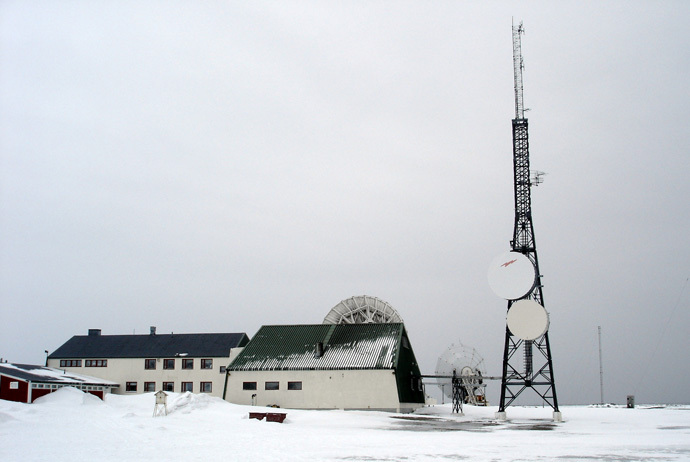 A former radio station in isolated Svalbard is an unlikely location for a luxurious hotel. 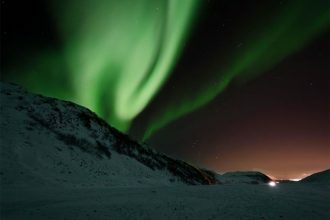 So remote is this place that you can only get there by boat or snowmobile, while local wildlife includes seals, walruses and even polar bears. 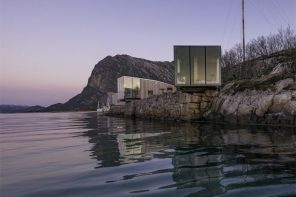 Once inside, however, it’s cosy and comfortable, with an excellent restaurant serving local food – you can even do some bird-spotting or whale-watching from the sauna, which has great views of the sea through its large windows. 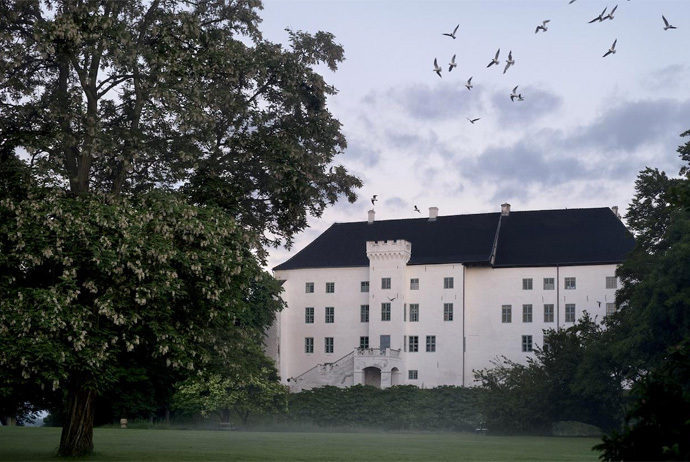 It may be an 800-year-old haunted castle, but Dragsholm Slot is still one of Denmark’s most luxurious and romantic hotels. 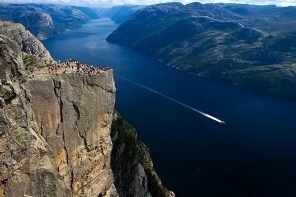 It’s surrounded by the Unesco-protected Geopark Odsherred, a landscape of beautiful rolling hills and glacial coastline. And there can’t be many castles that have a Michelin-starred restaurant on site – this one prides itself on serving dishes made from the highly-acclaimed local produce including herbs from its own garden. 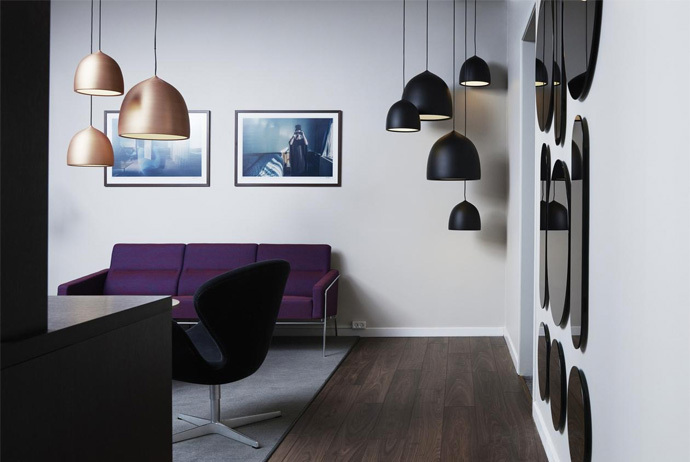 Treat yourself to a night in the original design hotel, the Royal Hotel Copenhagen, whose architect Arne Jacobsen is the father of Danish Modernism. Jacobsen designed every little detail of the hotel, from the signature spiral staircase in the lobby to the iconic egg chairs. Built in 1960 and recently restored to its full glory, the hotel is a must for architecture and design fans – and most of the rooms have great views over the city, too. 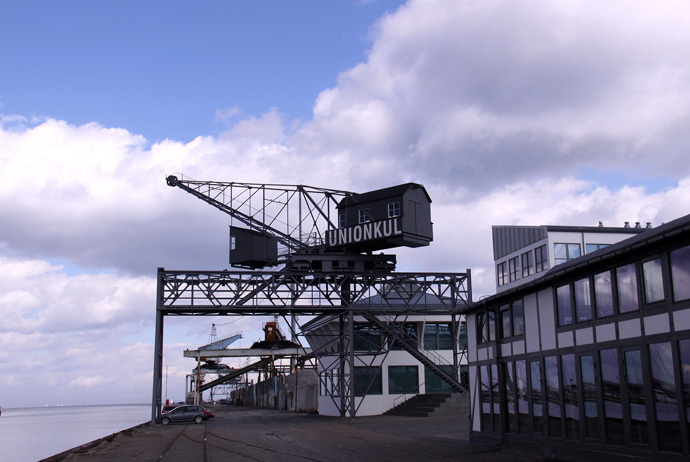 Get a bird’s-eye view of Copenhagen from the cabin of a crane that has been converted into a cosy, comfortable hideway for two. Combining luxurious Danish design with industrial architecture and panoramic views, this has to be one of Denmark’s most unusual places to spend the night. Even the spa has a glass wall with views over the harbour. It may be camping, but not as we know it. 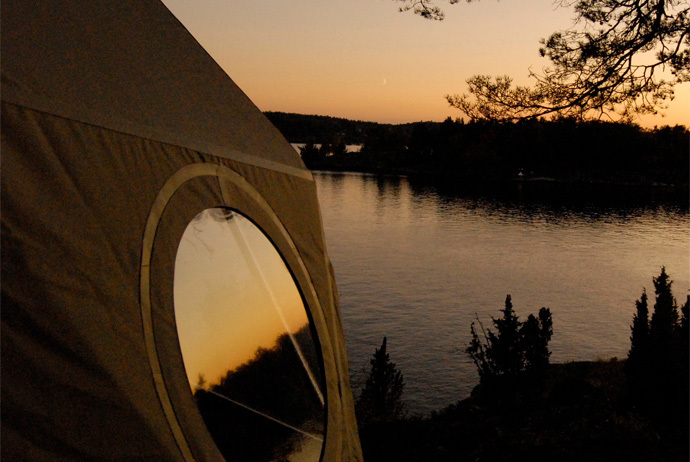 This is luxury glamping on an otherwise uninhabited island in the Stockholm archipelago. The seven tents dotted around the island all come with sea views, comfortable beds and wood-burning stoves. 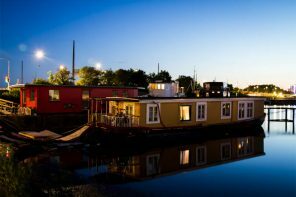 Sit back and watch the sunset from the wood-fired hot tub overlooking the lake or the floating sauna, before the on-site chef cooks you up a gourmet dinner. 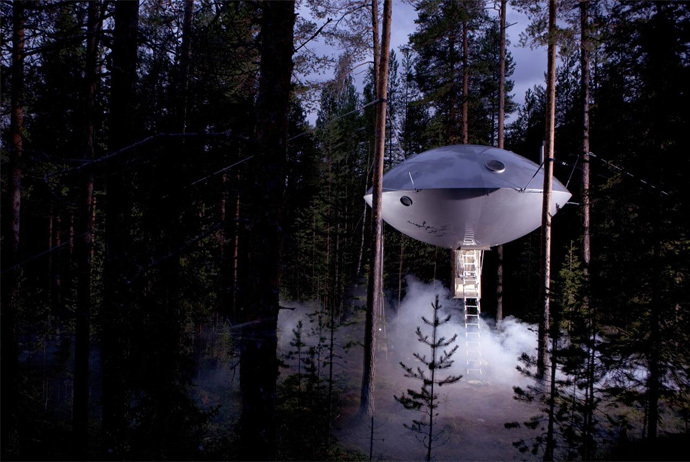 is home to some of the world’s most unusual tree houses, from the ‘Mirror cube’, which almost disappears into the surrounding forests as you look at it, to the designer Dragonfly and the quirky UFO. 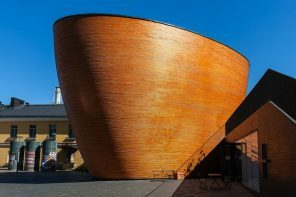 Some have fantastic views, some have unusual interiors, and all are suspended in the tall pine woods of northern Sweden. You may be lying on a bed made of ice at Sweden’s Icehotel, but the cosy reindeer skins and thermal sleeping bags here will keep you warm. Each room is designed by a different ice sculptor, so settle into your ice armchair or warm up at the hotel restaurant (not made of ice! 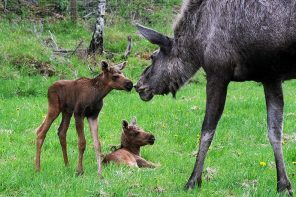 ), where you can sample local delicacies such as moose or smoked reindeer. There is of course an Icebar offering chilled drinks – on the rocks, if you prefer. 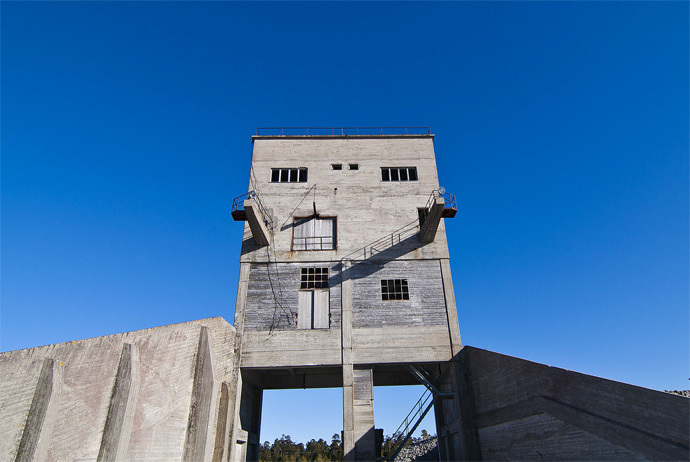 Staying in the middle of an old limestone quarry may not sound that appealing, but Fabriken Furillen makes it a very enjoyable experience. The hotel’s austere industrial exterior of concrete and hardwood belies a stylish, comfortable interior, full of subdued tones. 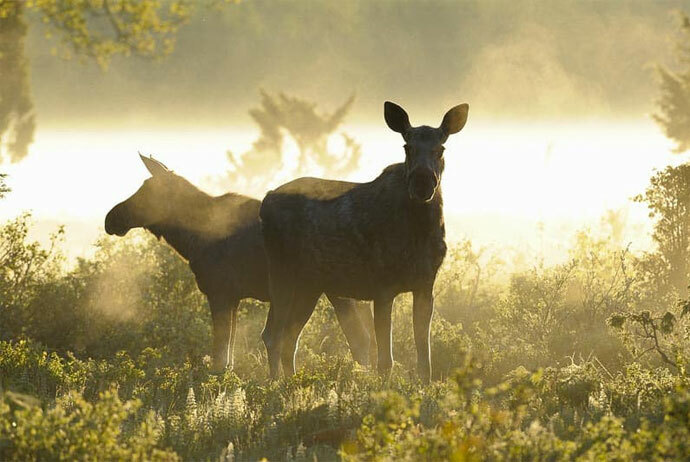 Grab one of the hotel bikes and explore Gotland’s wild and remote Furillen peninsula, or settle into the hotel restaurant and enjoy its tasty dishes made from produce grown on the local farm. 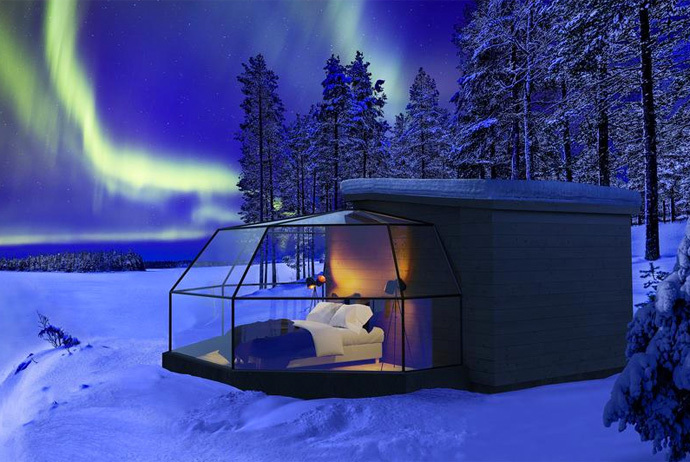 Well, these are igloos with a difference – the Arctic Fox igloos are made of glass, not ice. So you can lie in bed and admire amazing views of Lake Ranuanjärvi and the forest – and even watch the northern lights from your bed. 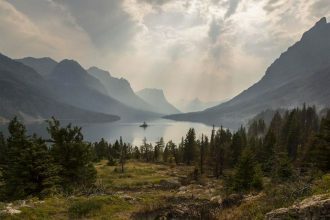 By day, you can explore the surrounding wilderness by husky, reindeer or snowmobile safari, or look out for brown bears, polar bears and wolverines at the nearby wildlife reserve. Just wanted to let you know that I’ve been binge-reading your blog for the past couple of weeks – love the content as it’s so super helpful! So from one blogger to another – thank you ?? 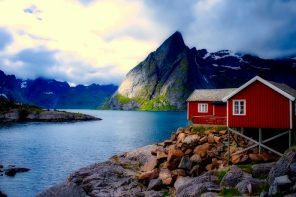 Routes North is an independent travel guide to Scandinavia. Our writers never take free stuff. So when we say that we like a place, you know we really mean it. We respect your privacy. 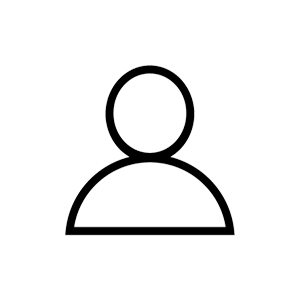 By submitting your details you agree to receive our emails. Unsubscribe at any time by clicking the 'unsubscribe' link in our emails.